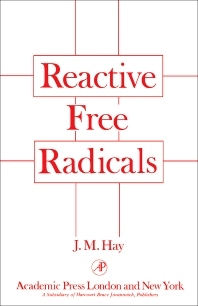 Reactive Free Radicals deals with the chemistry of reactive free radicals. The initial premise is that the reactivity of a free radical depends upon its shape and therefore upon the character of the orbital(s) containing the unpaired electron. Based on this premise, a possible explanation for some of the fascinating phenomena observed in a number of free radical reactions such as combustion and pyrolysis is offered. This book is comprised of five chapters and begins with a brief overview of the chemistry of free radicals, what they are and how they are formed, and their structure and reactivity. The emphasis is on those characteristics of free radicals attributable directly to the unpaired electron function. The reader is then introduced to the techniques used for the determination of the structure of free radicals, including electron spin resonance spectroscopy, nuclear magnetic resonance spectroscopy, and infrared spectroscopy. Subsequent chapters focus on bond dissociation energies and some of the complications arising from polar and non-polar effects in free radical reactions. This monograph should serve as a valuable reference for organic chemists as well as undergraduate and graduate students of organic chemistry.